Established in the year 1992, we, “Parshva Chemicals”, are engaged in manufacturing, exporting and supplying a wide range of Industrial Chemicals. 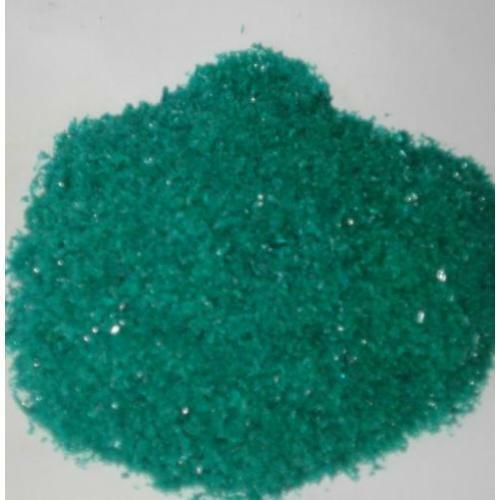 Our products include Anhydrous Cupric Chloride, Cupric Chloride, Cuprous Chloride, Copper Acetate, Copper Carbonate, Copper Sulphate, Cobalt Chloride, Cobalt Sulphate, Copper Chloride Anhydrous, Copper Chloride, Cupric Chloride Dihydrate, Zinc Sulphate, Manganese Sulphate, Ferrous Sulphate, Potassium Sulphate, Copper Chloride Dihydrate. We hygienically formulate these products using premium quality ingredients that are obtained from the trustworthy vendors of the market. Further, we use latest machines and techniques in the formulating process. These chemicals are acknowledged for their attributes like accurate composition, precise pH value, longer shelf life and safe usage. All the chemicals offered by us are free from impurities and are formulated in line with the global quality standards and norms. The copper acetate offered by us is used as a catalyst or oxidizing agent in organic syntheses. Also, copper carbonate is used as an effective Algaecide in farm ponds and aquaculture operations. We export our products all over the world like Japan, Asian Countries etc.